So you want to open your own real estate practice. How do you prepare yourself for the challenges that lie ahead? Not only must you start a business—in itself a substantial task—but you also must ensure this business is positioned to address the particular needs of this area of the law. The host of this E-Course, Joel Kadish, has years of experience and can steer you in the right direction. 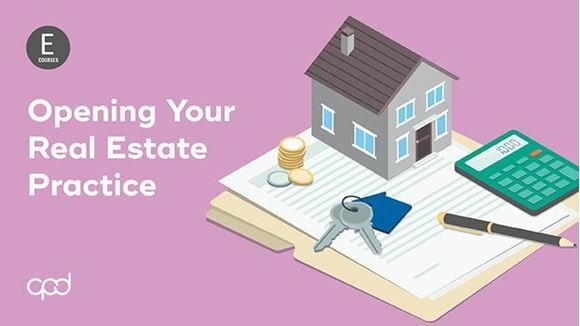 The course focuses on the different types of real estate practices, the special considerations in marketing and branding, the importance of mentoring, the ways of managing your client's expectations, and the keys to recognizing and preventing fraud—exactly what you need to set yourself on the path to success.